The distinguishing feature of the Navarre Bible is its commentary on the biblical text. 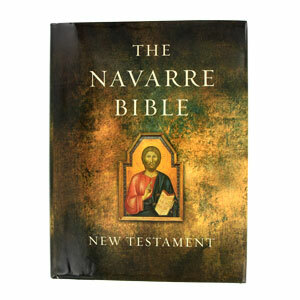 Compiled by members of the Theology faculty of the University of Navarre, it draws on writings of the Fathers, texts of the Magisterium of the Church, and works of spiritual writers, including St. Josemaria Escriva; it was he who originally entrusted the faculty at Navarre with the project of making a translation of the Bible and adding to it a commentary of the type found here. The commentary, with its introduction, is designed to explain the biblical text and to identify its main points, the message God wants to get across through the sacred writers. It also deals with doctrinal and practical matters connected with the text. 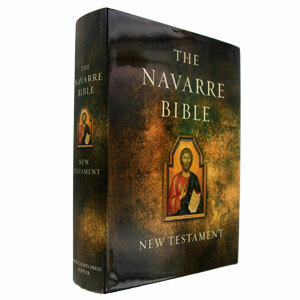 This book is the first edition of a Navarre New Testament with the following features: -commentary utilizing the Catechism of the Catholic Church -printed in two colors throughout; large format -with RSV-CE (English) and New Vulgate (Latin) texts of the New Testament The perfect gift idea for anyone who appreciates studying Scripture! 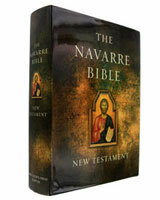 Study Features: Commentary Using the Catechism & Recent Chruch Documents.